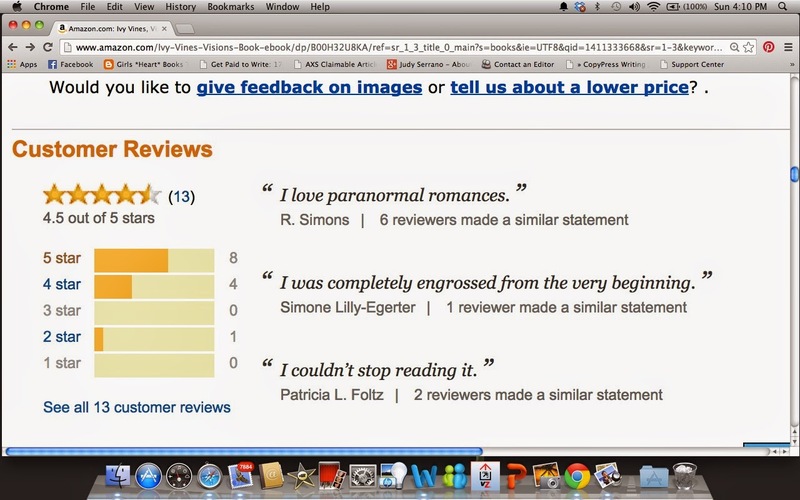 There are many things that need to be considered when rating and reviewing a book. The first and most important point is that the person who wrote the book you are about to dissect is a real person. This may be a person that you might meet someday, so choosing your words carefully might be in your best interest. Also, you have to remember that these authors put their hearts and souls into their work, so finding something positive to say is simply common courtesy. Here are a few tips when reviewing someone’s novel. · Start with something positive- It is always best to start with something optimistic, so that the author isn’t caught off guard. Even if the book is terrible, there is always something kind you can find to say. · The critique should be in the middle- Much like a sandwich, the critique is the meat of the review. Here is where you write what your true feelings are. Of course, it is always best to be polite, but even if you are not feeling especially courteous, this is where the criticism goes. · End with something encouraging. Try to end with something constructive. If you don’t recommend the book, it goes at the end, but there is always a way to leave the subject on a positive note. 1. Not recommended- One star should be for books you really did not like. This is a terrible read, one that you would not recommend to anyone. 2. Poor- Two stars are for books that did not catch the attention of the reader. The author of this book may not be skilled or perhaps the content just did not reach the reviewer. 3. Good- Three stars mean the book was good. The reviewer enjoyed it but there are still portions of the book that need improvement. This book may catch the attention of other readers even if it did not stimulate the reviewer. 4. Very good- Four stars mean that this was a very good book. This was a great read and satisfied the reviewer’s thirst. There is something in a four star that kept the reader from thinking this book was outstanding, but four stars is an awesome read. 5. Outstanding!- Five stars means that this was a page turner. Not only will you recommend this book to everyone you talk to, but you loved it! Some reviewers are very stingy with their five stars and some give them away like candy. It is important, however, that the reviewer exercises consistency. So, take some advice from an author who is also a reviewer, and use caution when reviewing someone’s work. Always remember that behind the pen is a person.